Keep your Raspberry Pi® Model A+ (either the original A+ or the newer 3 A+) computer safe and snug in this solid ABS acrylic enclosure. 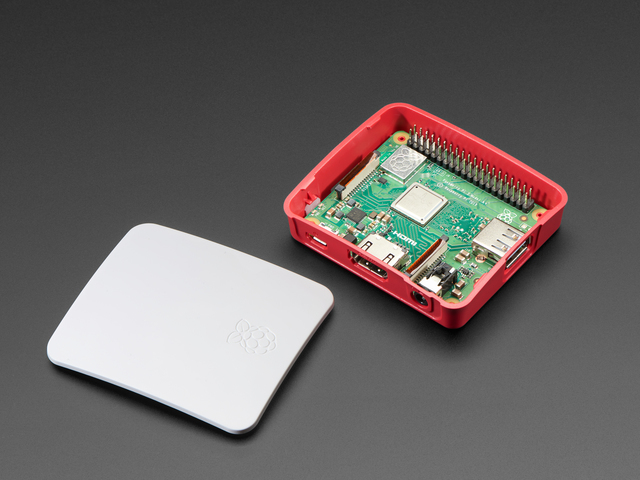 This case keeps your Pi secure, has labeled holes for connector access, and even comes with four little bumper feet. You can use all of the connectors on the edges of the Pi: HDMI, microSD slot, micro USB power, and the USB port. This enclosure is not compatible with the Raspberry Pi Model A, B, or B+! Raspberry Pi A+ computer is not included, but we do stock them in the shop! No other cables or connectors or accessories are included.